101A, Plot No. A-2 Sector 38A Entertainment Noida - 201301, U.P. International Amusement Limited is one of the few builders in the real estate sector that focuses on amusement park and commercial centers. Established in 1984, International Amusement has built various amusements all over the Delhi-NCR region. These parks have been met with great success and turnover rates. Some of their most prominent amusement parks include Noida Entertainment City, Appu Ghar Jaipur, Appu Ghar Gurgaon and Rohini Amusement Park. Apart from being one of the most popular family entertainment zones, these amusement parks have been noted for the sheer scale of brand investments and turnovers. International Amusement’s foresight while picking out locations has ensured that all their projects have been located amidst great catchment areas and have no competition to deal with, so to speak. 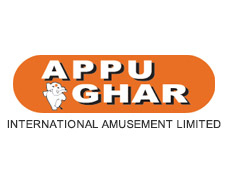 Under the leadership of Gian Vijeshwar, who is regarded as the Father of Indian Amusement Industry, International Amusement’s first project in India was Appu Ghar in Delhi which ran successfully for over two decades and had 1.4 million visitors annually. Apart from housing 20 spectacular rides, it also housed a water park which was widely popular as well. International Amusement imports its rides from the leading European manufacturers in order to ensure safety and reliability.